The STEELPRO MS597 represents all-encompassing durability at its finest. The steel-belted MS597 is built to endure miles and miles of heavy duty driving and formulated using superior compounds and advanced load carrying designs. Circumferential traction ribs and stiff solid shoulders with gripping edges deliver incomparable traction and biting grip. Strong sidewalls ensure a higher max load capacity while also combating wear damage. 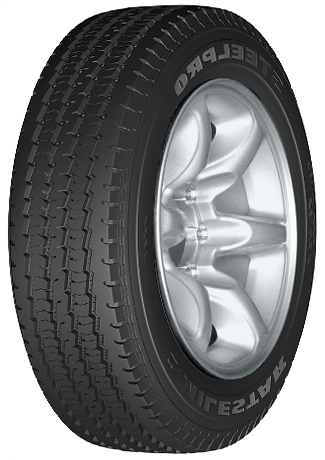 For reliable tires that are sure to get the job done.